2016 was not a year for big breakthroughs in cancer research and improving access to quality care. And yet, it was a year in which many of the issues that need to be addressed if we want to ever see those breakthroughs were front and center. Those issues include the need for collaborative research and sustained research funding, finding ways to make immune system treatments safer and effective for more patients and addressing the problem of outrageously high drug prices. In his State of the Union Address in January, President Obama announced that he was calling on Vice President Biden to head a new cancer ‘Moonshot’ initiative. The initiative aims to speed the development of new cancer treatments and detection methods–to bring about “a decade’s worth of advances in five years.” The focus is on areas in which a coordinated effort across research groups and the public and private sectors can accelerate progress. The report of the Cancer Moonshot Task Force, issued in October, describes the goals and outlines specific plans for the initiative. Immune system therapies are one of the hottest areas of cancer research. Some of these treatments have already received FDA approval to treat certain types of cancer and are proving to be very beneficial for some patients. However, this year we started hearing more about the toxicities of some immune system therapies, especially when they are used in treatment combinations. And yet, it has been suggested that learning how to safely combine immune system and other treatments may be key to unlocking more of their potential, underscoring the need for much more research in this area. Evidence of the harmful effects of financial toxicity on both quality of life and length of life after a cancer diagnosis continues to mount. One study reported this year found that the costs of cancer treatment vary widely, even for treatments with similar efficacy. It also found that patients bear a substantial burden in out-of-pocket costs. A survey conducted in September by the nonpartisan Kaiser Family Foundation found that the vast majority of Americans support policy changes to control the cost of prescription drugs. A major international study showed that progress against metastatic breast cancer (MBC), which is responsible for nearly all breast cancer deaths, has slowed in the past decade. The report discussed why researchers have failed so far to reach the goal of turning MBC into a chronic disease with the potential to achieve lasting remissions. One of the problems slowing these research efforts has been a lack of necessary data from patients. To help address that issue, the Metastatic Breast Cancer Project is creating a national database of blood and tumor samples contributed by MBC patients for use in genomic studies with the goal of developing more effective treatments for MBC. We are also lacking data at the population level that would help answer such important questions as how many people are living with metastatic cancer, how many diagnosed with early stage cancers later develop metastatic cancer and how new treatments have impacted outcomes for patients. 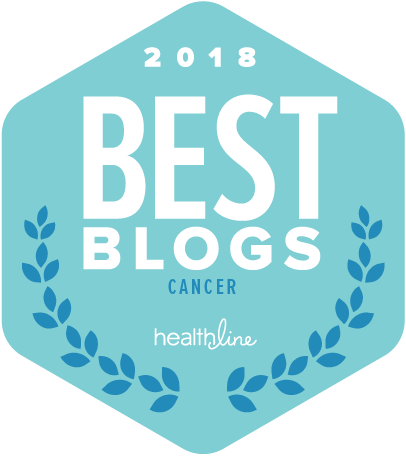 In October, the Metastatic Breast Cancer Alliance launched a petition requesting that the major U.S. cancer registries run by the National Cancer Institute and the Centers for Disease Control and Prevention begin tracking statistics for those living with MBC to help answer questions like these and better inform research work against MBC. Clinical trials are essential to developing more effective, less toxic cancer treatments. Yet, less than 5 percent of adult cancer patients overall participate in clinical trials, and the rate is even lower for patients from minority populations. Misconceptions about clinical trials are one of the likely reasons. A large survey this year of both patients and physicians found that when patients understood more about clinical trials their interest and willingness to participate jumped. The lack of transparency around the results of clinical trials may also reduce enthusiasm. Another study found that two-thirds of clinical trials led by scientists at academic institutions didn’t share their results publicly within 2 years of the study’s completion. Several initiatives are underway to increase sharing of results and data from clinical trials. Aromatase inhibitors are an important part of breast cancer treatment for many women with estrogen receptor-positive breast cancer, but adverse side effects can be significant. A study published this year in the New England Journal of Medicine and another reported at the San Antonio Breast Cancer Symposium looked at whether there is benefit in extending treatment with aromatase inhibitors beyond the currently recommended five years. Both studies found only a small benefit from extending treatment that may be outweighed by increasing side effects. Commenters stressed that decisions to extend treatment with these medicines are certainly not one-size-fits-all and the risks and benefits need to be weighed when extended treatment is being considered. A scalp cooling device to prevent hair loss could give a boost to quality of life for cancer patients receiving chemotherapy. A clinical trial of the device found that it reduced hair loss significantly in about half of patients using it. But the cost of the device is very high at $1,500 to $3,000 per patient, which seems to put it out of reach for most patients–again underscoring the need for rational solutions to cost issues in cancer care.